Similar to Rip Van Winkle, Louisiana just awoke from a long sleep. Eight years to be exact. While Jindal wrecked the state, the citizens snoozed, except for a few political watchdogs here and there howling in the night to no avail. The moment Louisiana resurrected was Thursday, Feb. 11 at 4 PM. Louisiana Gov. John Bel Edwards announced TOPS payments to universities were being suspended. TOPS, college scholarships, is the most beloved socialist welfare program in Louisiana history. Residents went from deep slumber to screaming in minutes. With college football also on the chopping block, we now know the dead can indeed rise from the grave. It’s time to face the facts. Louisiana has an enormous structural deficit, approximately $1 billion this year, and $2 billion next fiscal year. However, despite a Republican governor in Jindal and a Republican dominated House and Senate who created this fiscal crisis, some are incredibly, amazingly, and even ignorantly blaming the new governor—just a month in office—for these cuts. It can’t be said enough, as everyone should realize, Jindal and the senators and representatives we elected are to blame for this fiasco. John Bel Edwards was one of those heralding voices who fought the foolishness, and he was elected to fix the mess. 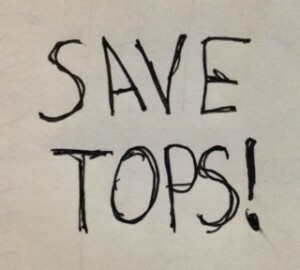 Look, Edwards wants to protect TOPS and higher education. But Louisiana can’t cut its way to prosperity, nor can the state print money. The special legislative session ironically starts on Valentine’s Day, though love will not be in the air. This budget crisis can be fixed with responsible tax increases and realistic cuts, which is all Edwards has suggested. It’s simple but will take intestinal fortitude. The Republicans in the House, led by Taylor Barras (the figurehead Speaker) and Cameron Henry (the real Speaker) have done nothing but try to hamstring the Edwards administration in order to score political points. Sources say plans have been crafted to end the session as soon as it starts and go home with nothing accomplished as a way to cripple the new governor. Therefore, I am calling for a new Speaker vote on the first day of the session. Remove Barras and send Henry to the kiddie table where he belongs. I don’t care which Republican takes the helm, as long as he or she is willing to work with Edwards and quit playing obstructionist games detrimental to Louisiana. My advice for those who care about Louisiana is to go see their legislators. Look them straight in the eye and say the Washington-style politics is over. Fix the budget and protect TOPS or resign. Raise taxes, craft a responsible budget, and save the state. No more failures. No more excuses. Put Louisiana first. –Dayne Sherman is the author of the novels Zion and Welcome to the Fallen Paradise, both $2.99 ebooks. Signed first editions are available from the author. And he does not speak for any of his employers.